You know you’re doing important work when the White House and World Health Organization seek your advice—a position Dr. Kamran Khan has found himself in more than once. 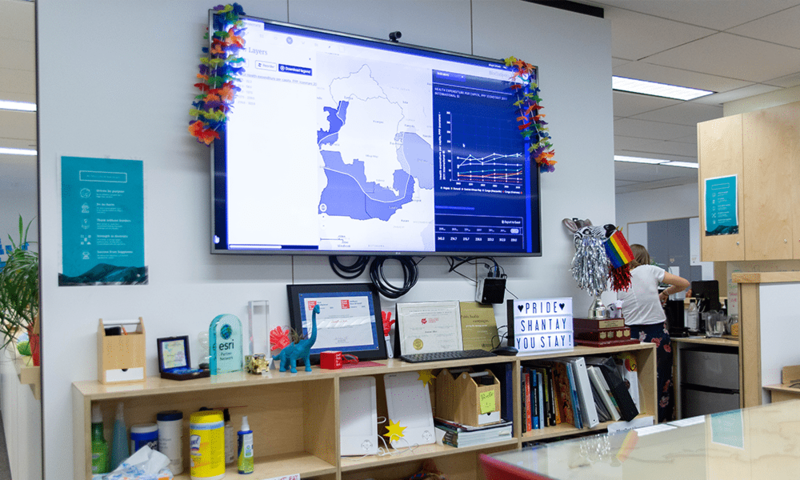 As the founder and CEO of Toronto-based startup BlueDot, Kamran and his team use big data to track and predict the global spread of serious infectious diseases such as SARS, Ebola virus and Zika virus. Today, with a global population that is more mobile than ever, diseases are set to spread farther and faster, which means that BlueDot’s work is only going to increase. To meet the demand, the company is looking to grow its team. When the Zika virus broke out in Brazil, BlueDot accurately predicted in January 2016 that Miami would be a prime location for the disease to hit, based on connectivity from Brazil. In July 2016—six months later—the first confirmed cases were reported in Miami. After spreading across Brazil, Zika quickly travelled to more than 20 other countries in the Americas. The World Health Organization declared a global health emergency, and the United States Centers for Disease Control and Prevention (CDC) issued a travel advisory warning pregnant women against travel to affected Latin American and Central American countries. To help minimize the negative economic impact that such a broad ban could have on the affected countries, the BlueDot team worked around the clock with partners at the CDC to identify areas where the risk of Zika transmission was negligible, helping to refine the travel advisory across the Americas. In advance of the 2016 Summer Olympic Games in Rio de Janeiro, Brazil, Kamran was also called upon to advise the World Health Organization’s Zika emergency committee on the likelihood of the virus spreading internationally from the Games. Using data and analytics, he was able to show that the risk was low. BlueDot has such clout thanks to the intellectual horsepower of its 44 employees, who include experts in geographic information systems, spatial analytics, data visualization and computer sciences. The team also includes medical experts in clinical infectious diseases, travel and tropical medicine, and public health. Together, they track, integrate and analyze all kinds of data related to dangerous global infectious diseases, including, for example, the worldwide movements of more than four billion travellers on commercial flights every year; human, animal and insect population data; climate data from satellites; and news reports of disease outbreaks. 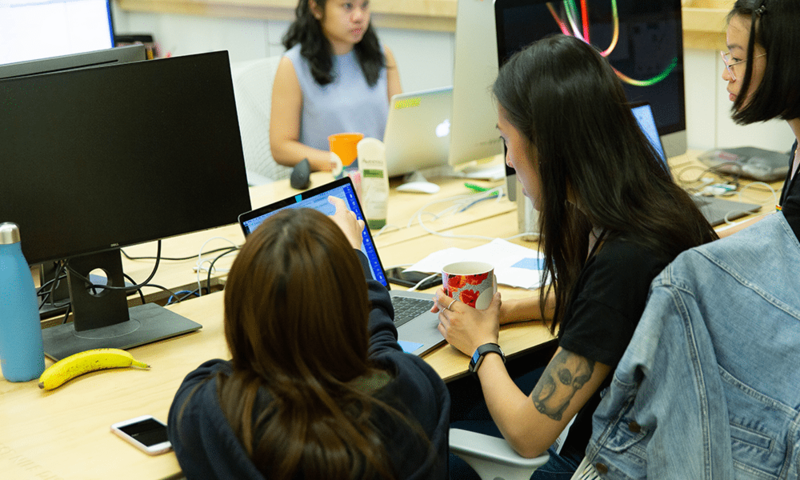 BlueDot’s employees understand the urgency of their work: the faster they analyze data and communicate insights, the greater the likelihood of stopping or slowing a dangerous outbreak. Alexander Watts, associate director of insights, says the company is uniquely positioned to act fast. Unlike in academia or government, where analyses—even in emergency settings—can take months or more to perform and translate into action, BlueDot can generate actionable insights within days. Lindsay Bryson, VP of strategy and operations, thinks this speed is partly why people feel such a general sense of accomplishment at the company. “I think most people are here because they believe in the mission, especially because it’s backed by the right team and the right infrastructure in place to do the job,” she explains. When your job involves using growing amounts of data to track fast-moving illnesses, it’s critical that you stay on top of your game, so all staff are encouraged to go on courses or take classes, says Lindsay. Robb Gilbert, director, people and culture, naturally thinks about the people driving the innovation. “I’ve overheard people saying they don’t know where else they could work shoulder to shoulder with such an eclectic group. Everyone here is so open and willing to share knowledge,” he says. Located within St. Michael’s Hospital, the BlueDot offices are a couple of streets over from bustling Yonge Street in downtown Toronto. The location has lots to offer: in addition to being steps from public transit, shops, theatres, restaurants and sporting events, employees love being able to tap into the hospital’s resources, like its medical library. If you’re looking to join a company that has your health in mind, look no further: BlueDot’s team members certainly practise what they preach. Not only do they work to promote global health, they also live it every day at the office. 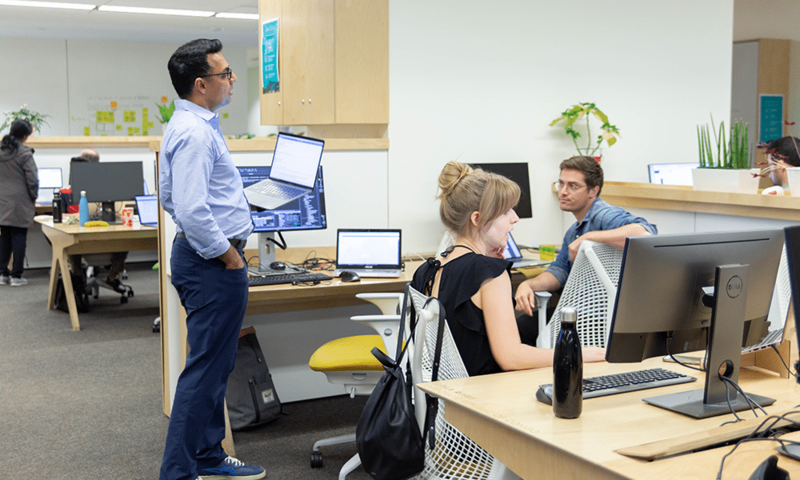 A dozen or so employees bike to work regularly, including company founder Kamran, and all the snack bar choices are healthy—not a jujube or potato chip in sight—with fresh fruit, nuts, trail mix, granola and oats on offer. And it doesn’t stop at the food. There are also daily 3:00 p.m. fitness breaks, where staff do stair climbs or stretches. Anyone hunched over a computer every day knows the toll it can take on your health. An epidemiologist in the BlueDot office is trying to keep stiff shoulders and sore arms at bay by introducing the “flappy bird” arm exercise, a quick way to reduce stress while also providing a much-needed break to staff who crunch data all day. At only 3.5 minutes long, it’s quickly become the most popular 3:00 p.m. exercise.